PS: This will be a long post with many photos. After a much complicated directions online on how to get to the Fo Guang Shan 佛光山, we decided to take the KRT to Zuoying Station and then take the bus, 哈佛快線. Exit the Zuoying KRT Station and wait at Bus Platform 2 for the 哈佛快線 to come. 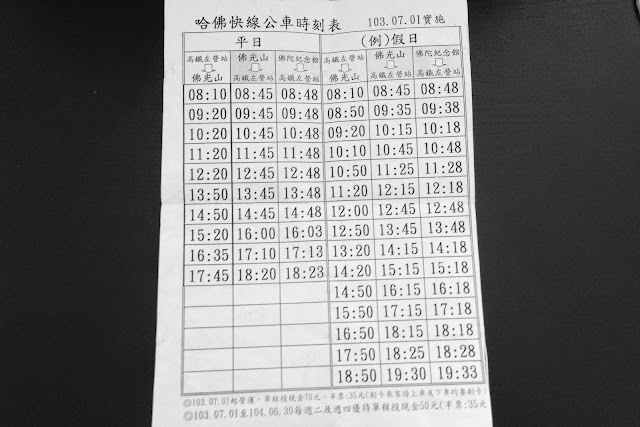 There is a time schedule for the bus to arrive. Each bus trip cost NTD70 per person. You can use the iPass to tap in and out for the journey. Alternatively, based on online reviews, you can take bus 8010/8011 at 高雄客运. It is just opposite our hotel and behind 国光客运. However, it is not recommended by the staff there as it is a much longer time and distance, that's why she recommended us to take the 哈佛快線 at Zuoying. Here's the bus. We waited quite some time as we were early. We have reached Fo Guang Shan 佛光山. A little overwhelmed by the map. It's a huge place. And since it's on a hill, there are alot of slopes and stairs. Just thinking about it make my knees go weak. I wonder how the devotees (usually more elder than us), managed to climb up these slopes and stairs that regularly? Goddess of Mercy wishing well up the first set of slopes. We made our wishes. Up we go the first long slopes. And we actually started at where the red roofed buildings were. High right? 地藏殿 - After praying at the shrine below this magnificent setup of Buddhas (we were not allowed to take photos at the shrine), we climbed up a long set of stairs. Greeted by this huge statue of 地藏王, we walked round the place to see many other smaller statues of this buddha. There are so many statues around the place. Onwards to the other shrines, along the way there are many of this cute little monks statues. ... and this is the shrine. Can you see me in the photo? I am in between the camera and the shrine. I'm so tiny. The place is huge. After visiting most of the shrines, (no photography is allowed in the shrines as it is a place for praying) we headed to the Fo Guang Shan Buddha Memorial Center 佛光山佛陀纪念馆. The more tourist attraction part of Fo Guang Shan 佛光山. The construction area is the middle of where we are and the destination. So near, yet so far. And there's a mini zoo on the route between these two places. The poor ostrich is all alone under the super hot sun. There are also peacocks next to it. Finally, after 20-30 minutes walk under the hot sun, we are reaching. Yippie! Excited. Inside, there are many shops, some sell local snacks/gifts, there is a starbucks, some high end restaurants and more. The first shop we went when we reached the place: 7-Eleven. Haha.. We went to look for drinks. They sell all kinds of vegetarian instant noodles as no consumption of any meat is allowed in this premises. While resting, we saw that it was time for the buffet lunch. And we were pretty surprised that the buffet lunch only costs NTD100 per person. That's not even SGD5. So, we decided to get our lunch before going for the next part of our tour. Purchase the meal vouchers at the first level. There's this lady sitting by the stairs and holding one whole bunch of these vouchers. Climb up to the second level and pass these vouchers to the person at the door. They took back the vouchers, for reuse, we guess. At the door, there's even this lucky dip. The hubby got a card (??) and I got a better prize, a CD. Though there were many people, but there were many seats still available. We have to return our own utensils when leaving the dining place. Our vegetarian lunch. Not too bad. We each had two rounds. After the lunch break, we went on to the second part of Fo Guang Shan 佛光山. Onwards to the big buddha at the Fo Guang Shan Buddha Memorial Center 佛光山佛陀纪念馆. So near yet so far. We have to pass by the eight pagoda and a huge big space to get to the destination. Looking back. The distance we had covered. This is what greeted us when we entered the center. Looks magnificent. Wisdom words from one of the buddha shrine. To get even closer to the big buddha, we have to head up to level three. And there are four other shrines at that level. We went to all. The big big Buddha is just in front of us. Magnificent right? We saw this only after we were done with the level. By right we have pray in a clockwise direction. Luckily we got the direction correct. We left the place about three in the afternoon. It's a long day under the hot hot sun. But we were blessed by the buddhas in the huge Fo Guang Shan 佛光山. At the end of the day (maybe mid day), we then realised what is the difference between Fo Guang Shan 佛光山 and Fo Guang Shan Buddha Memorial Center 佛光山佛陀纪念馆. Remember to wear good walking shoes, carry an umbrella and apply loads of sunblock. Oh and of course. Drink loads of water. 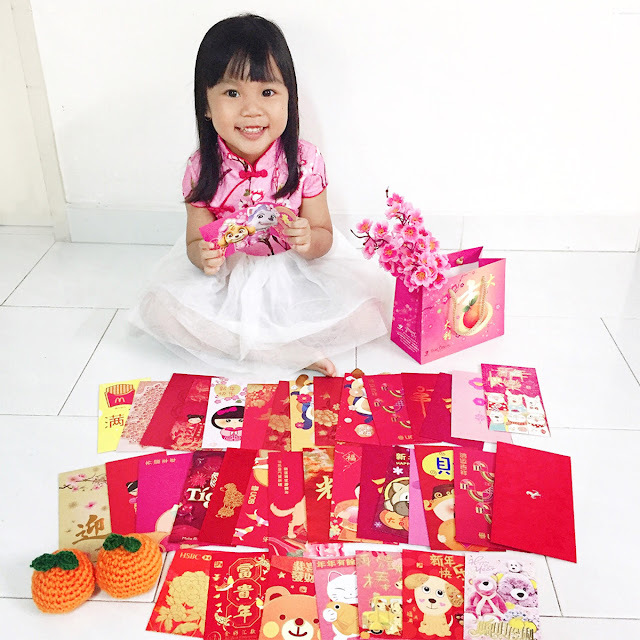 Really like your post, very clear and help me to plan my journey ahead to Fo Guang Shan. Hi, may I enquire the time taken to travel to Fo Guang Shan by the 哈佛快線 at bus platform 2 near exit of the Zuoying KRT Station? Also Zuoying KRT station = Zuoying THSR ?